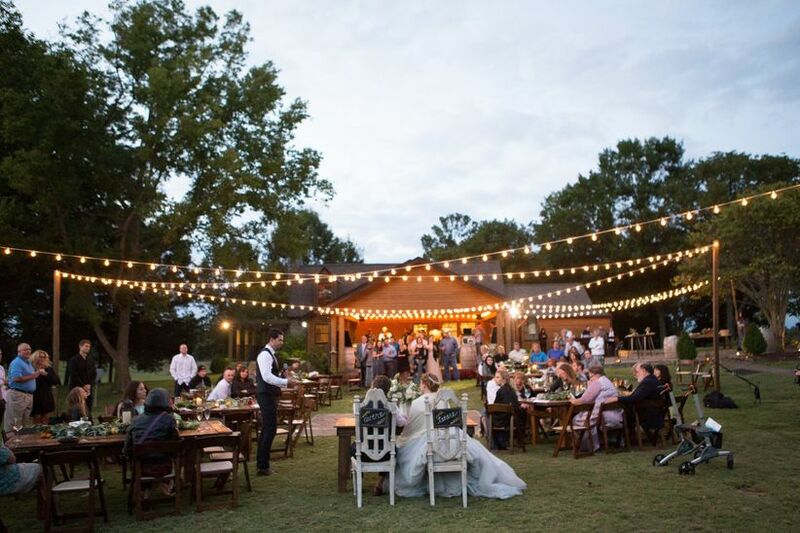 These open-air wedding venues in Nashville are ideal for any Tennessee couple looking to add some natural beauty into their own big days. Many couples dream of a wedding surrounded by nature. 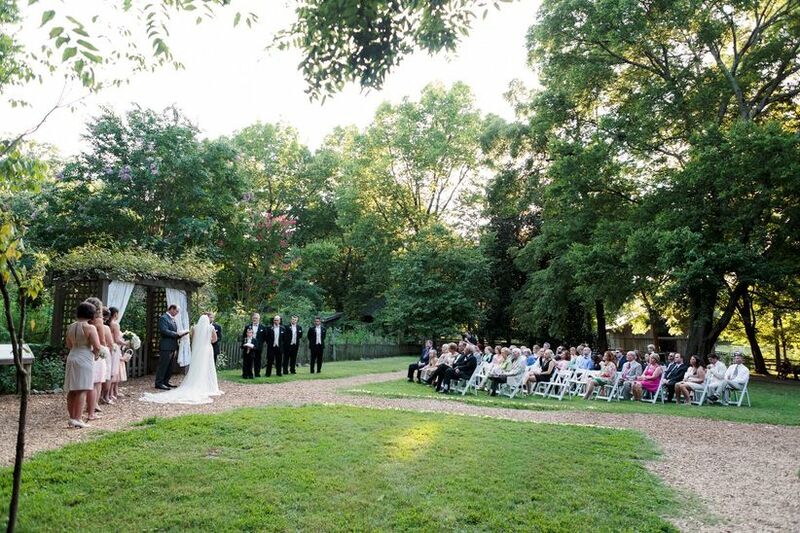 Fortunately, there are many Nashville outdoor wedding venues from gardens to vineyards, inns and yes, even a zoo! No matter which wedding style you choose (classic, rustic, romantic, or something different! 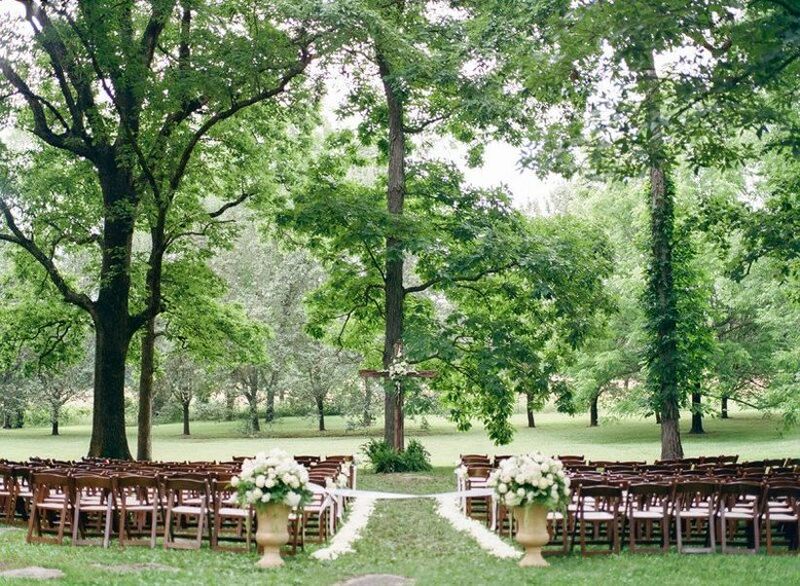 ), you’re sure to find an outdoor wedding venue in the Nashville area that suits your needs. Once you’ve taken a look at a few of our favorite locations, be sure to search on WeddingWire to find a Nashville wedding venue you'll absolutely love! Check out some of our favorite Nashville outdoor wedding venues and start planning your big day. Vineyards make ideal outdoor wedding venues in Tennessee for a variety of reasons including amazing photo opportunities, scenic outdoor space, and of course, all of the wine! Arrington Vineyards are certainly no exception, but an added bonus is its proximity to downtown Nashville (just about 25 minutes south of the city!). 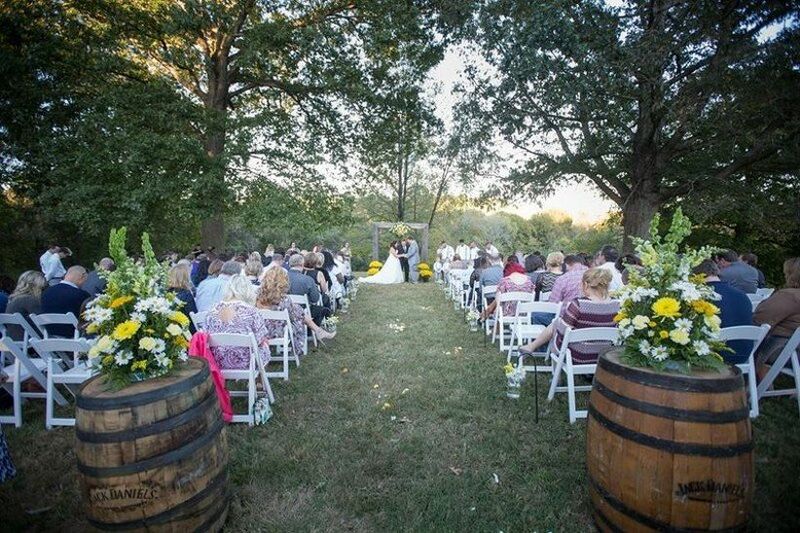 One of our favorite Nashville wedding venues, Arrington Vineyards offers a variety of wedding location options (particularly if you’re having a smaller guest count). We love the scenic Cellar Patio, as well as the Courtyard, where you can set up a reception tent. 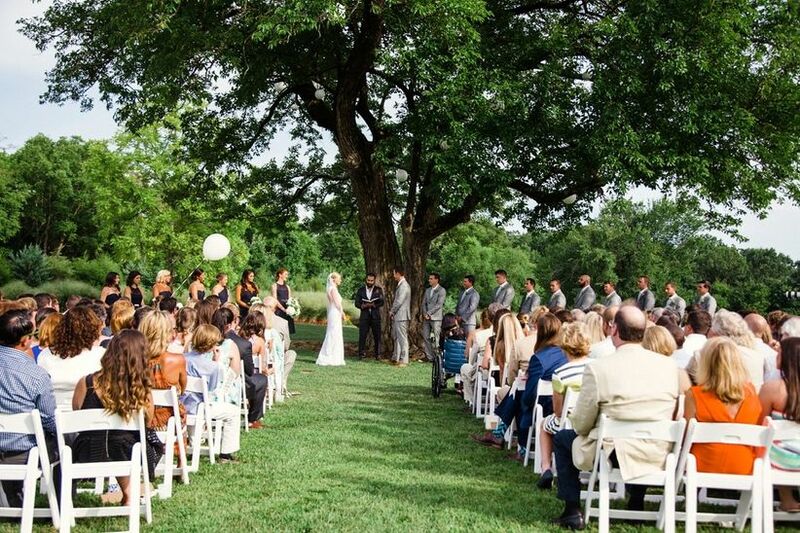 One of the most popular outdoor wedding venues in Nashville, TN (in fact, we named it one of our favorite garden wedding venues), CJ’s Off the Square has an abundance of Southern charm. 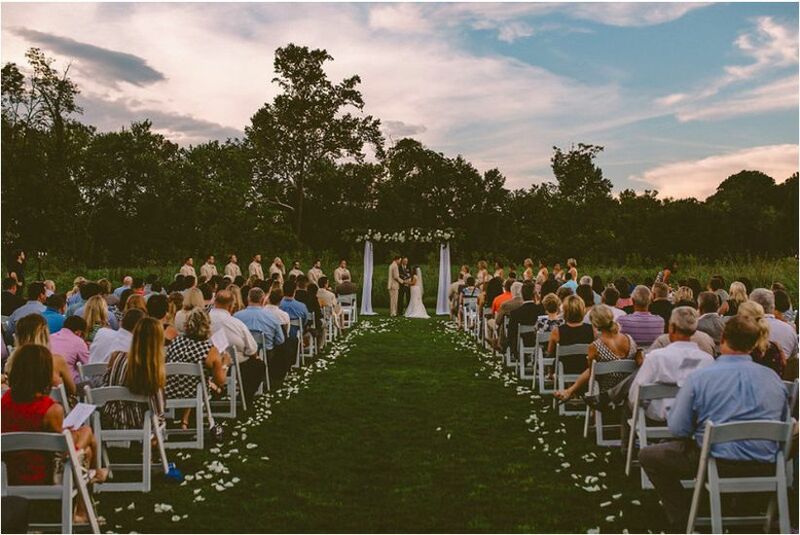 This garden venue in Franklin, Tennessee offers a more intimate space (the capacity is 135 guests), with a variety of outdoor settings (there are a few indoor spaces in case of inclement weather, though!). 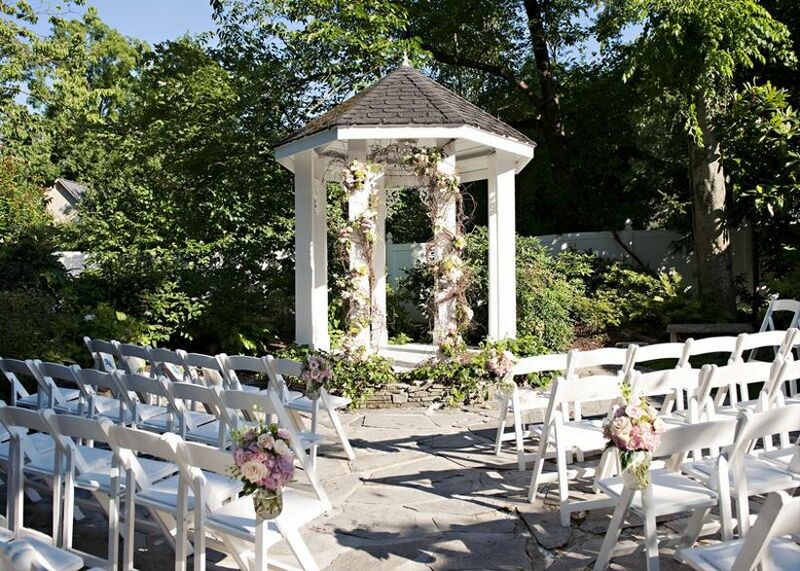 Brides and grooms typically host ceremonies in the garden, complete with its adorable gazebo and lush botanicals. Receptions are usually staged in the pavilion, which offers a covered space, while still allowing you and your guests to enjoy the fresh air through the open sides. The 1911 house is a great place to get ready with your wedding party, and also makes a beautiful backdrop for wedding photos. Looking for a more rustic setting for your wedding day? 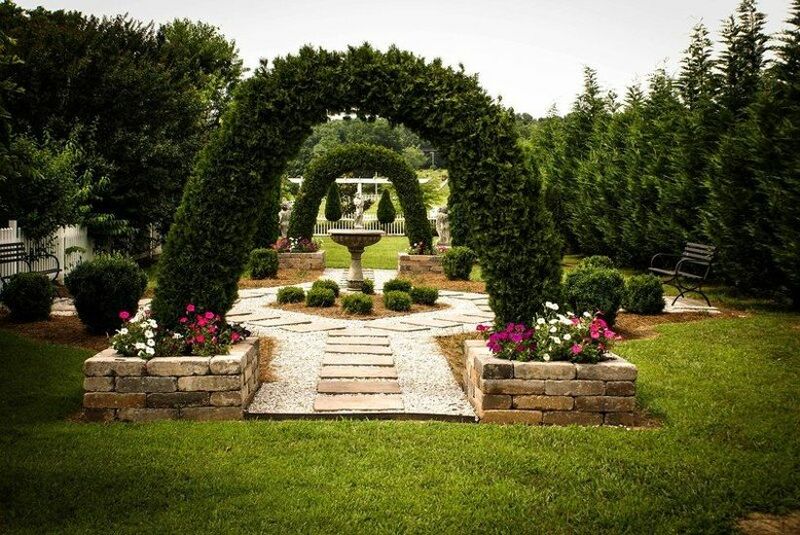 Owen Farm in Chapmansboro is a favorite of couples looking to wed surrounded by nature. The farm is located west of Nashville, on the bluffs of the Cumberland River. The ceremony site is incredibly scenic (hello gorgeous rolling hills! ), and guests typically host receptions in and around the barn, where guests can easily flow from indoors to outside. Couples praise this family-owned venue for its hospitality, as well as the fact that you can rent the space for the entire weekend—allowing you to host your rehearsal and rehearsal dinner on site, as well! 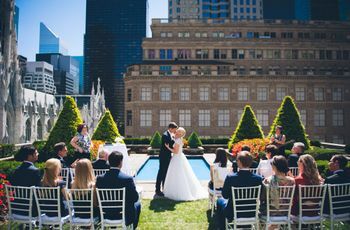 There are so many advantages to hosting a garden wedding, from the gorgeous natural scenery to the incredible photo ops. Blackhaven Wedding Gardens is no exception! At this Lebanon, Tennessee estate, you’ll find 28 acres of beautifully-manicured property. There are several garden ceremony spaces to choose from, but most popular is the rotunda, located in the Rose Garden. 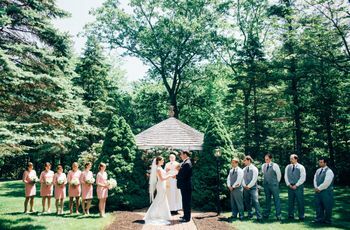 The Evergreen Garden and Pond Garden are also gorgeous settings for ceremonies or portraits. The flowers in the garden actually change from week to week, so your wedding is guaranteed to be completely unique. Receptions are typically held in the reception hall, but with its large picture windows and covered patio, your guests will certainly feel like they’re outdoors for the whole day! Located in Gallatin, Tennessee across from Bledsoe Creek State Park, this 2017 Couples’ Choice Award-winning venue is a sure favorite among couples—and for good reason. 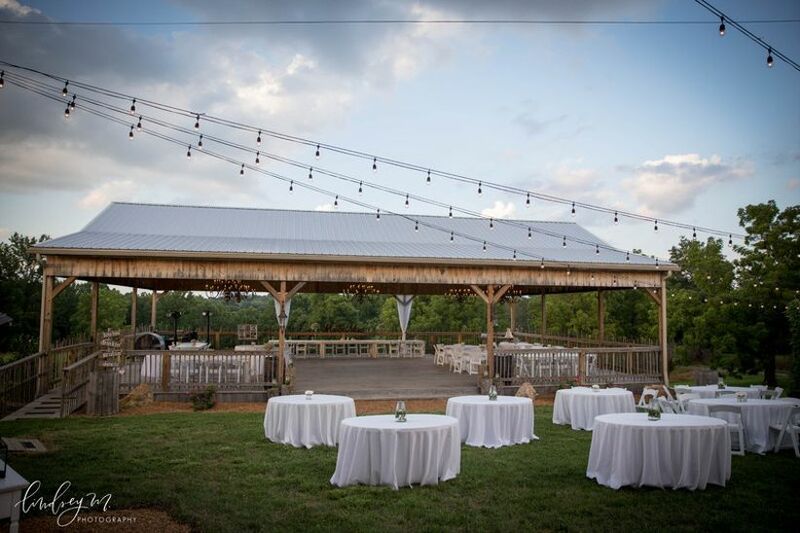 The ceremony site features a gorgeous natural backdrop that will absolutely wow your guests, and the rustic-chic pavilion provides the best of both worlds—an open-air space that’s covered and has retractable sides in case of inclement weather (and yes, there are twinkle lights!). And we love the rustic log cabin where couples and their wedding parties can get ready for the big day in style. 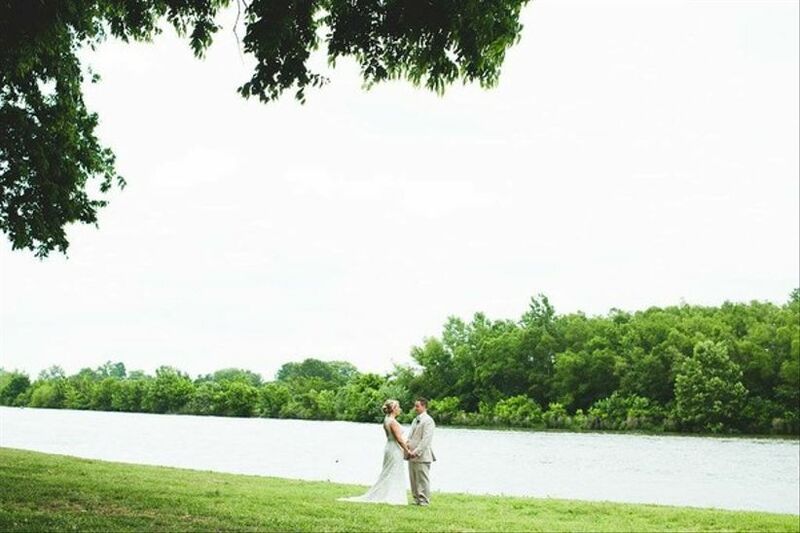 We know that Nashville isn’t near the ocean, but that doesn’t mean you can’t get married on the water! The Lighthouse offers a gorgeous wedding venue on Old Hickory Lake in Hendersonville—and yes, there is an actual lighthouse, perfect for a nautical-themed wedding celebration. The Lighthouse has an in-house catering team which makes things super-convenient, and its capacity is 200 guests. 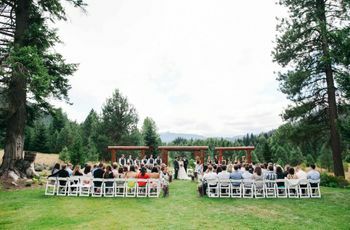 Ceremonies are typically held right on the lake for a serene setting. 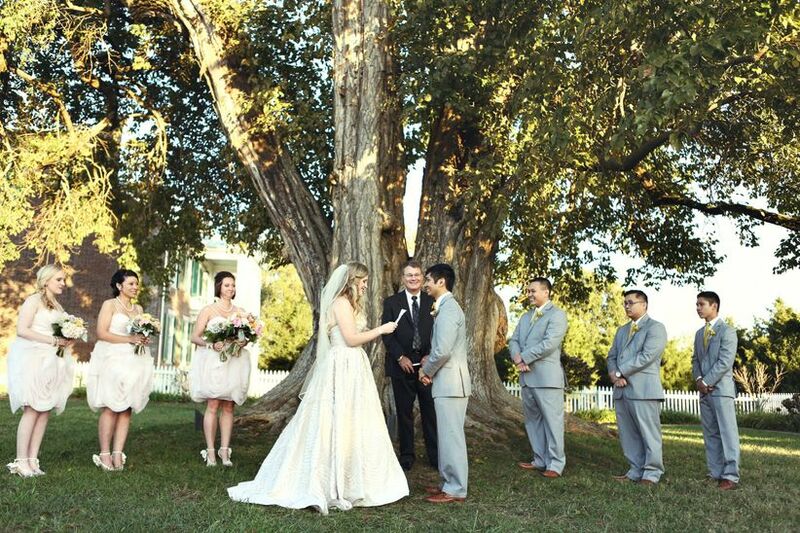 If you’re looking for an outdoor wedding venue with lots of history, you’ll love the Historic Carnton Plantation. This Nashville outdoor wedding venue has hosted two American Presidents, and you can even read about it in a book! 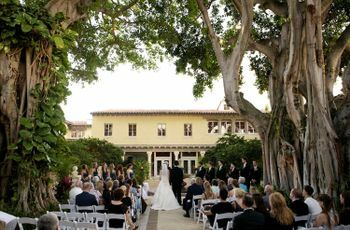 Ceremonies are held under a 160-year-old Osage Orange tree, and receptions can be held indoors or out, either in the Fleming Center or one of the gardens. One of the perks of this venue—for an added fee, you can open the historic home for a private tour after your ceremony so that your guests can enjoy all of the history. Yes, it’s true. You can actually get married at the Nashville Zoo—and it’s pretty incredible. This unique wedding venue in Nashville almost feels like a destination wedding venue! Some of the wedding sites at the zoo include Botswana, an outdoor ceremony space overlooking the African Savannah exhibits, the Croft Historic Home, which offers an expansive lawn for outdoor ceremonies, and the Jungle Terrace Pavilion, a covered space ideal for a reception. You can also celebrate your marriage at the Wild Animal Carousel—an ideal reception venue for smaller parties. And yes, some pretty incredible photo ops are possible at this Nashville outdoor wedding venue (imagine, taking your wedding photos with an elephant photobomb!). Most outdoor weddings occur in the spring, summer or fall, but at this venue you can have a wedding that feels like its outside—even in the winter! While there are four outdoor spaces where you can host your ceremony (and a covered Veranda in case of inclement weather), the real draw here is the Greenhouse, where the transparent roof provides an outdoor feel. This means that you can host the closest thing to an outdoor wedding in the wintertime—which is pretty incredible. This historic outdoor event space includes a log cabin and lots of outdoor space for a tented wedding. Located just 15 minutes from Nashville Airport in Mt. 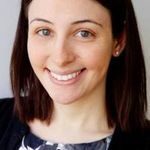 Juliet, your guests will love the convenience factor, too! The ceremony space is surrounded by majestic trees, and couples rave about the all-white tent decorated with chandeliers for the reception. The log home is where couples prep for the big day—it features both bride’s and groom’s quarters.